The Jackals have released their latest album ‘People’. The album has initially been released in CD format, with a vinyl release and digital download of the album due out on 14 September. The Jackals hail from Scotland’s capital city Edinburgh. A tight knit musical unit who are known for their blistering live performances, the band’s sound combines cryptic lyrics with expansive guitars, underpinned with the solid grooves of the bass and drums. 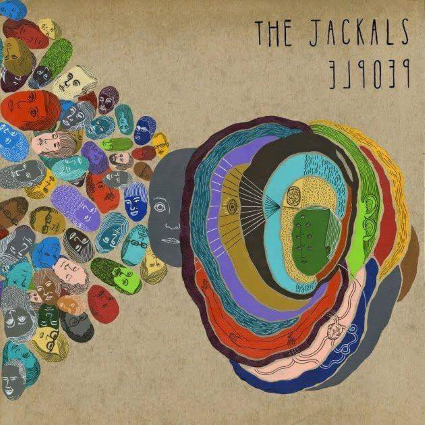 Describing themselves as making cosmic rock and roll, The Jackals worked with legendary producer Owen Morris (Oasis, The Verve) on their double A side single ‘Holding All The Roses/L.E.A.R.N’ with Morris saying of the experience ”I’ve had a very good time mixing tracks for The Jackals, a great band with soulful, massive tunes”.